Lillian Massey Building, Department of Household Sciences. View is from the west side of Queens Park, south of Bloor Street West. The solidly impressive building that occupies the southeast corner of Bloor Street West and Queens Park (157 Bloor Street) is a reminder of the great public buildings erected across Canada in the 19th and early-20th centuries. The Department of Household Sciences building in Toronto is one of the finest example of these structures. The funds for its construction were provided by Lillian Massey, whose father was Hart Massey. He was the founder of the Massey-Harris Company, at one time the biggest manufacturer of agricultural machinery in the British Empire. Hart Massey donated Massey Hall to the city; other structures associated with the Massey family are Hart House on the University of Toronto’s downtown campus, and Massey College, a graduate residential college. Lillian Massey was born in 1854 in Newcastle (Durham Region), in Canada West (Ontario). In 1897, in Toronto, she married John Mill Treble. Throughout her life, she remained keenly engaged in social reform, philanthropy and education. A wealthy heiress, she was also a patron of the University of Toronto. Lillian was a believer in “scientific household management” and was one of the first in the country to promote this concept. She was instrumental in having the University of Toronto offer a four-year degree programme in household science to educate women to manage their homes scientifically. Lillian believed that these courses would better women’s lives. In 1905, she went a step further and donated funds to erect a building to house the new department. It was to include facilities to support the teaching staff, as well as classrooms, laboratories, and recreational facilities. It was to possess a gymnasium and a swimming pool, the latter located in the basement. At the time, these athletic facilities were to be the only ones on campus open to female students. Construction on the Household Sciences building began in 1908, and it required five years to complete. When it opened in 1913, it was a spectacular structure, its interior trimmed with marble and oak. There was also a series of stained-glass windows, by artist Henry Holiday (1839-1927), the windows dedicated to Lillian’s mother, Eliza Phelps. They were in the Pre-Raphaelite style, featuring simple lines and large areas of brilliant colours, such as found in the early Italian painters before the famous Italian painter—Raphael. The windows were placed in the stairwell surrounding the staircase in the entrance hall. Images in the stained glass depicted Egyptian women performing household tasks, the male figures engaged in hunting and harvesting. The architect Lillian selected for the building was George M. Miller, who had supervised the designs for Massey Hall on behalf of an American architectural firm. Miller chose the Neo-Classical style for the structure, which was very popular for large public and commercial buildings in that decade. The portico was supported by four Ionic pillar of Indiana limestone, the pediment above it containing the coat of arms of the University of Toronto. The porch and west facade faced Queens Park, directly across from the Royal Ontario Museum. At the time, the building was considered the finest facility of its kind in North America. The domestic courses offer in the building were reviewed in the 1960s, resulting in the university deciding to phase out the program. Some courses were transferred to the Faculty of Medicine and others to the Faculty of Arts and Science. However, by this time the building was showing its age and was in need of renovation. Despite this, the Lillian Massey Building continued to house some courses of the Department of Household Science until the 1970s. Then, it was occupied by the Department of Nutritional Sciences, a part of the Faculty of Medicine. 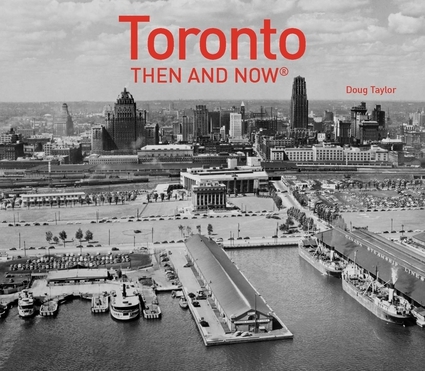 In 1975, it was designated a heritage structure by the City of Toronto. In 2007, the building was finally renovated by the University of Toronto. It presently houses the Department of Classics and the Centre for Medieval Studies, as well as a Club Monaco store. Thankfully, it is one of our historical buildings that remains purposefully occupied. Note: Photo of stained glass window is from the Toronto Public Library, photo by John Elmsley. Gazing east on Bloor Street toward Avenue Road (Queens Park) in 1912, prior to the widening of the street. In this year, the ROM building on the southwest corner of Queens Park and Bloor had not been built. The Lillian Massey Household Sciences building is in the distance, on the right-hand side. Toronto Archives, Series 0372, SS 0058, item 0131. Photo of a horse-drawn fire reel on Bloor Street c. 1914, the Household Science Building in the background. Toronto Archives, Fonds 1244, item 1382. The Household Sciences building in 1918. Toronto Archives, Series 0372, SS 0058, item 0781. View of the west facade of the Household Sciences building in 1920. One of the pillars of the Alexandra Gates can be seen. It is topped with a street lamp. The gates were relocated in 1962 to the north end of Philosopher’s Walk, when Queens Park was widened. View is from the west side of Queens Park. Toronto Archives, Fonds 1244, item 7163. View of the southeast corner of Queens Park and Bloor Street in 1923. In the foreground is a Peter Witt Streetcar. Toronto Archives, S0071, item 2429. View of the building c. 1933, from the west side of Queens Park; the view looks southeast, the legislative buildings in the far distance. Toronto Archives, Fonds 1244, item 7362. View in the 1960s, looking south on Avenue Road toward the legislative buildings at Queens Park. The Household Sciences building is on the left-hand side of the photo, across from the ROM. On the right-hand side of the photo is the Park Plaza (Park Hyatt) Hotel. Toronto Archives, Fonds 1257, SS 1057, item 5334. Gazing north toward the intersection of Bloor Street and Avenue Road (Queens Park). West facade with the portico supported by four Ionic-style columns. The doorway to the building on Queens Park (left), and architectural detailing around the doorway (right). Upper portion of the portico on the building, with the four Ionic-style pillars and above them, the coat of arms of the University of Toronto. View of the building from the west side of Queens Park.